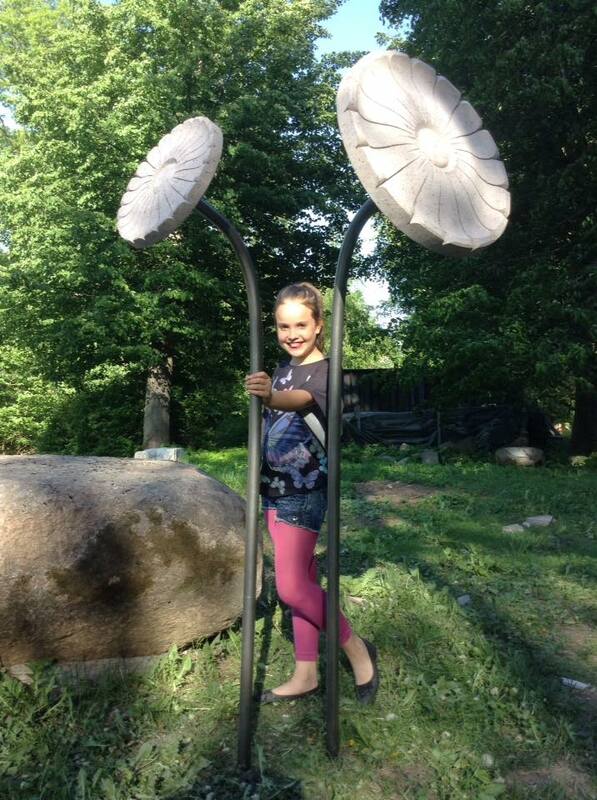 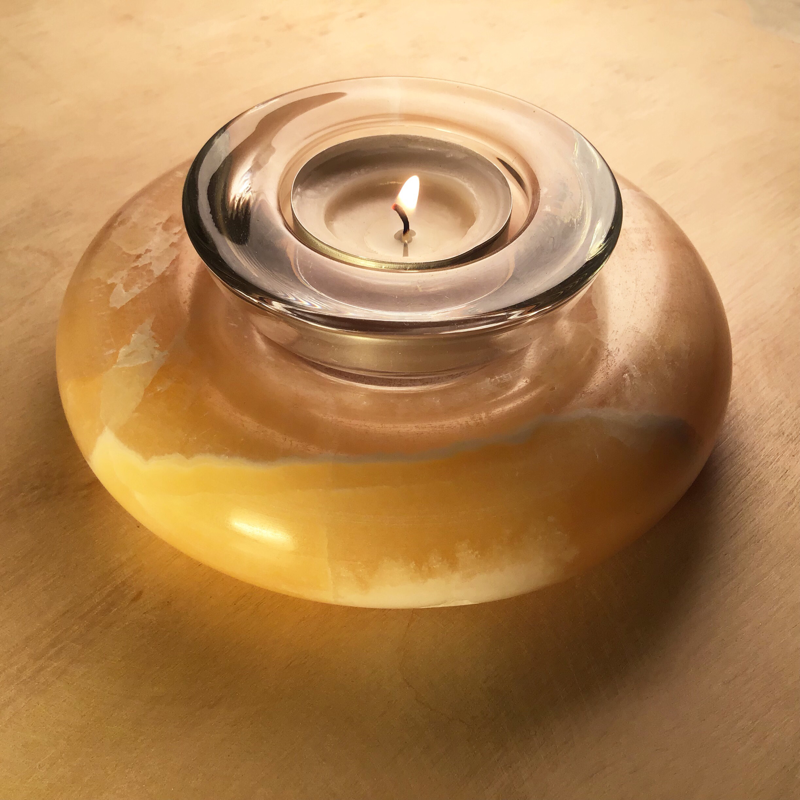 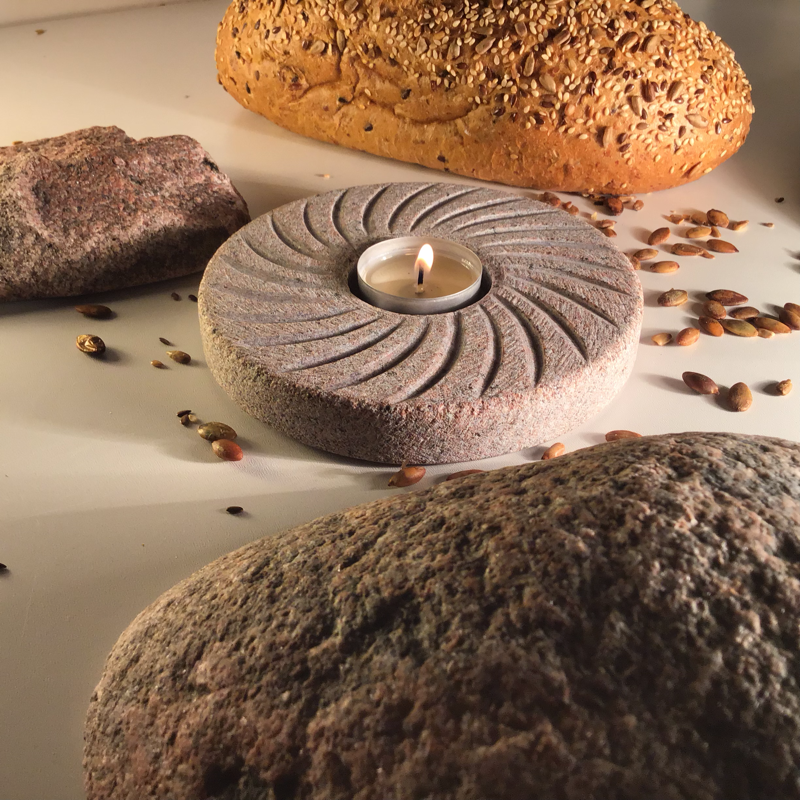 On self-invented lathe created stone turned candle holders, peastls, bowls and vases. 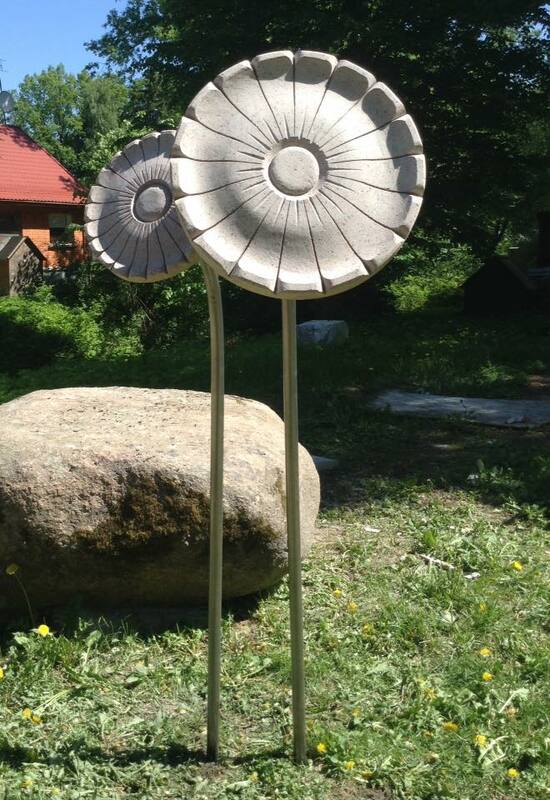 “Kupena” (Snowbank) shape is created by influencing from winter season with rich snow in Latvia. 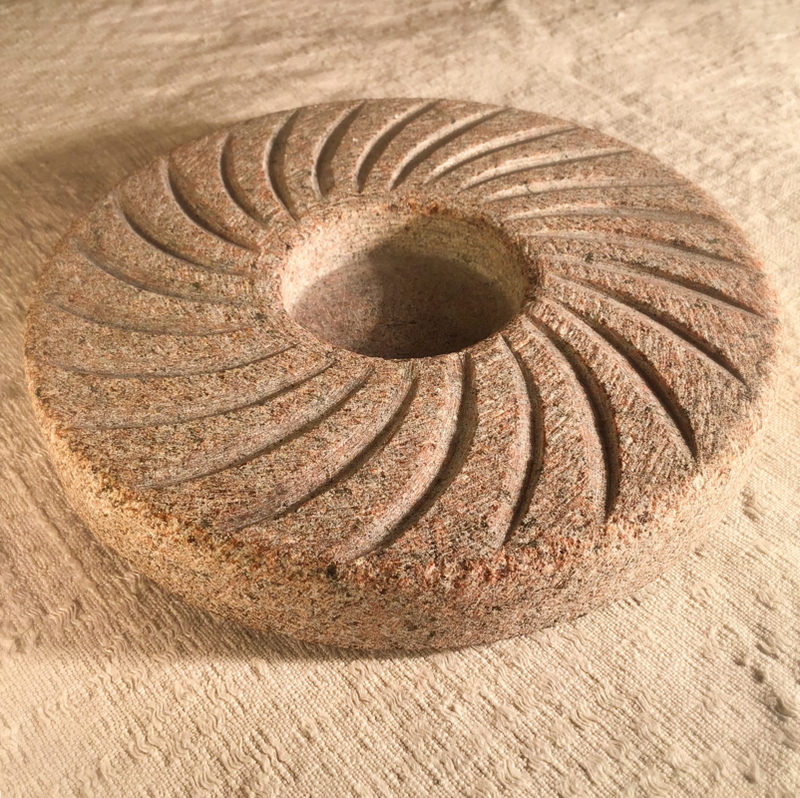 When the snow covers different, complex silhouette items, their shapes become simple, harmonious and dear. 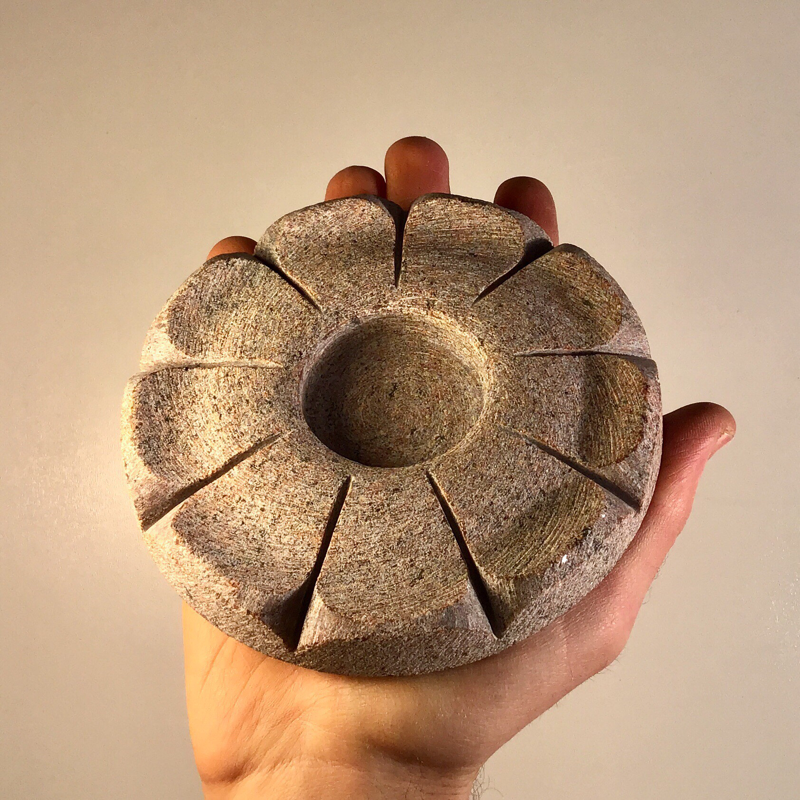 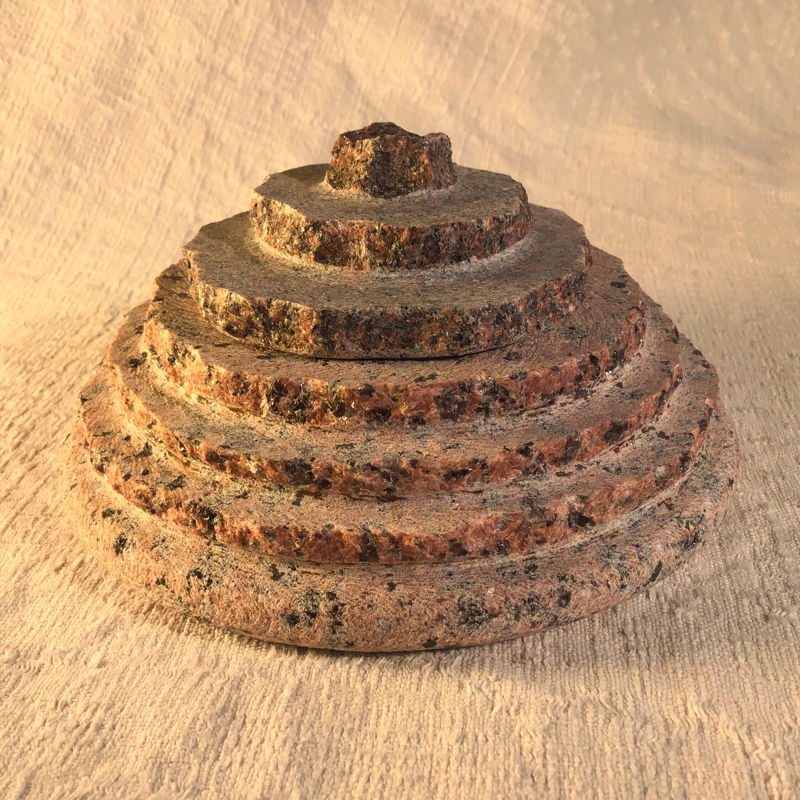 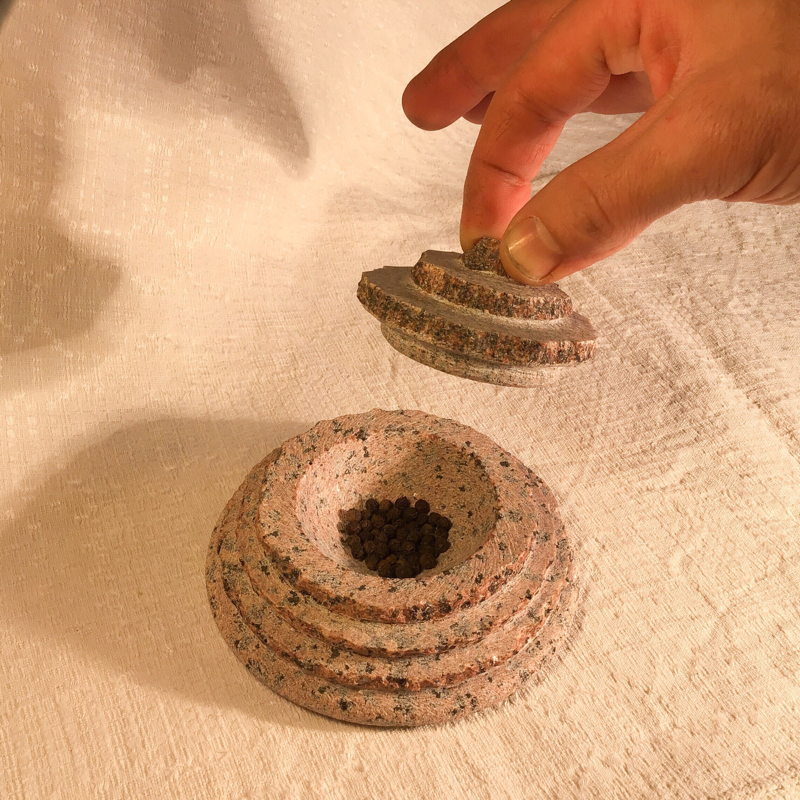 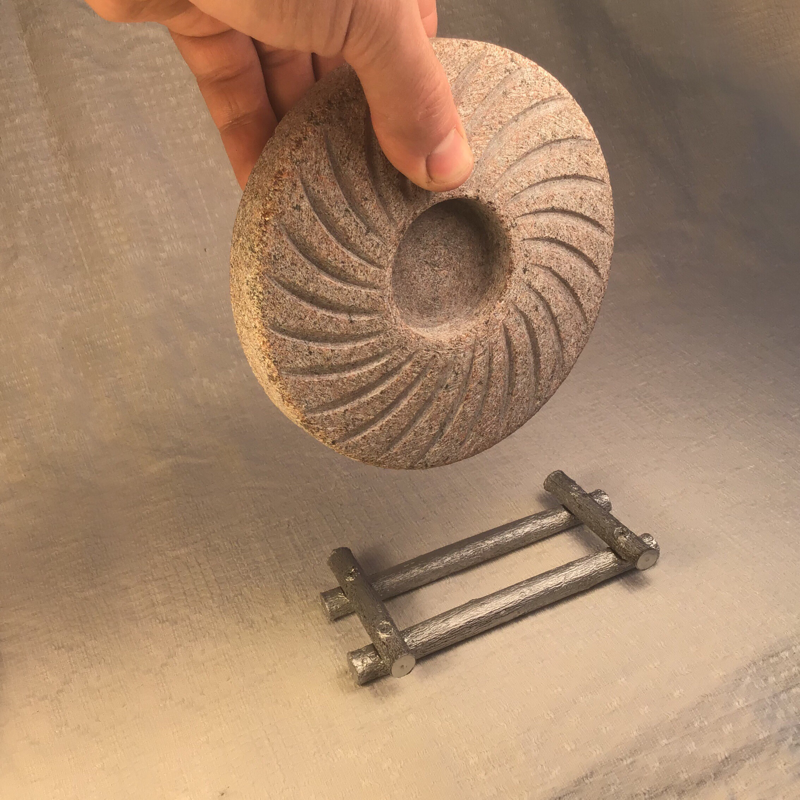 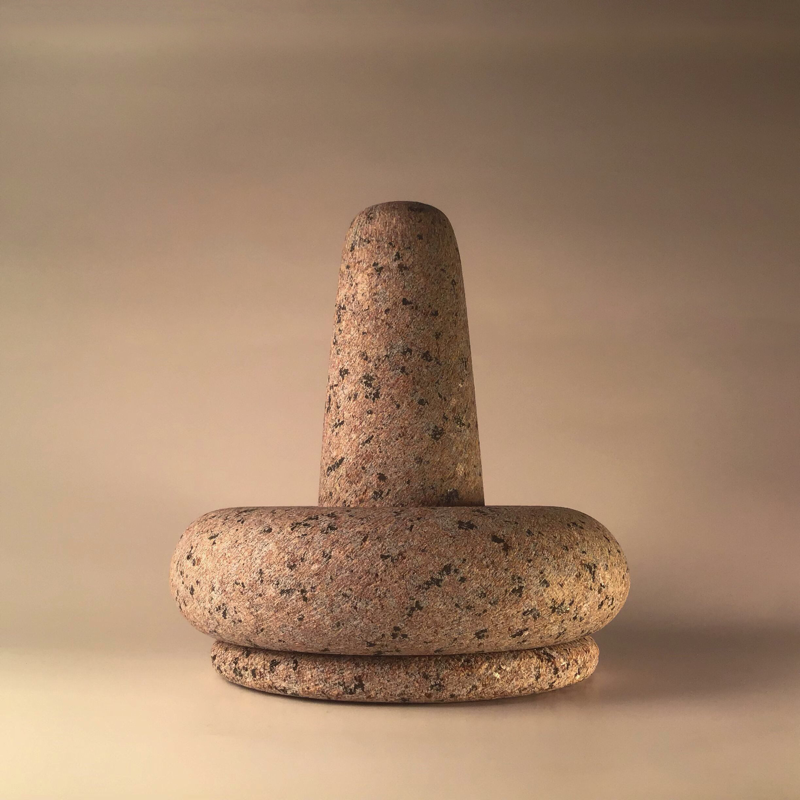 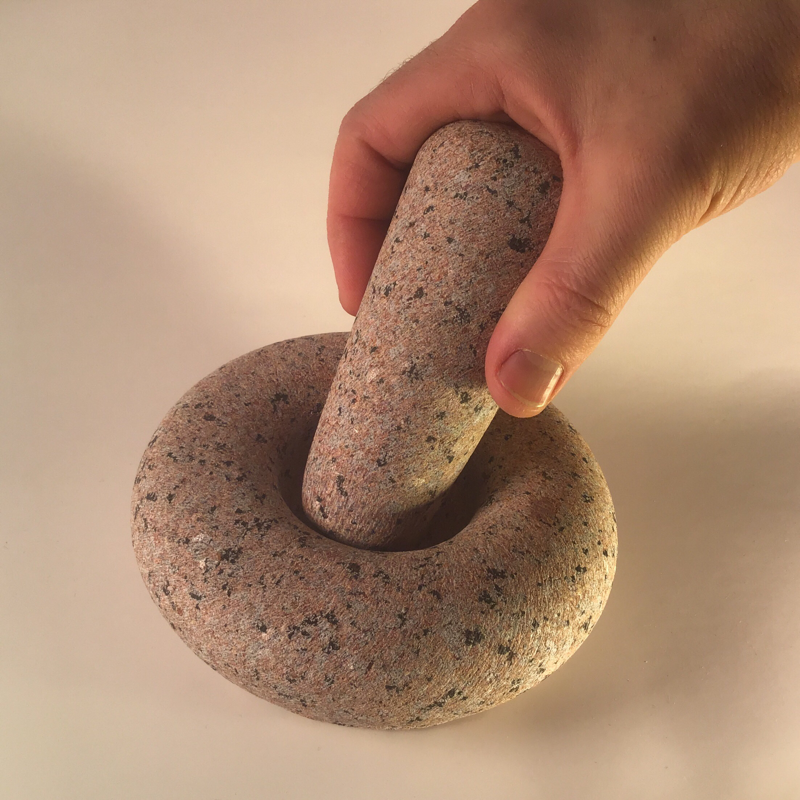 This natural stone pestle created for chopping spices, it can use as candleholder or just like a modern interior sculpture. 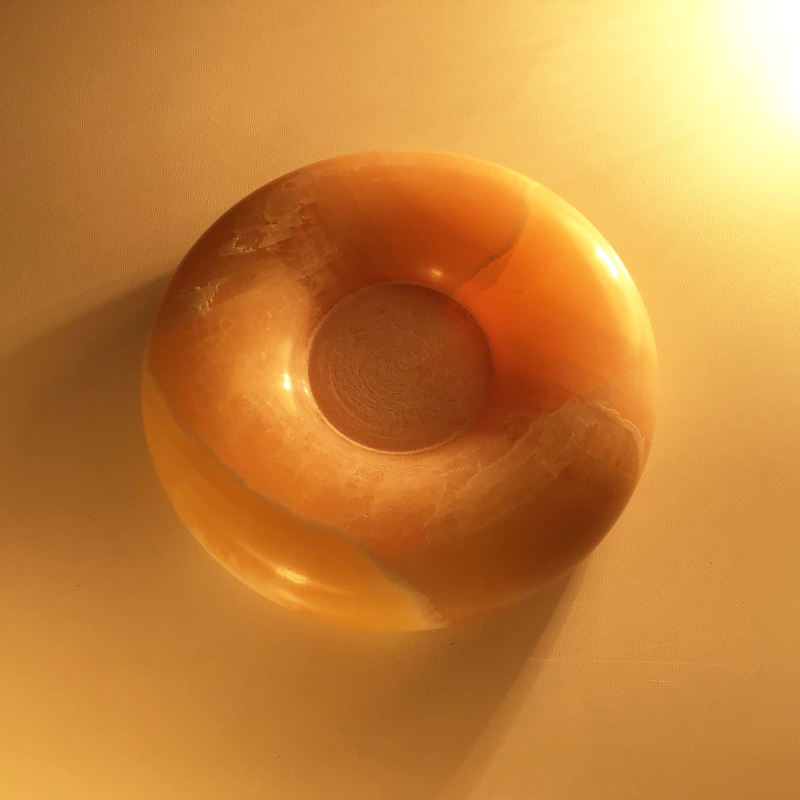 Stone carved exclusiv romantic sunset yelow color gemstone Onix with Polished surface. 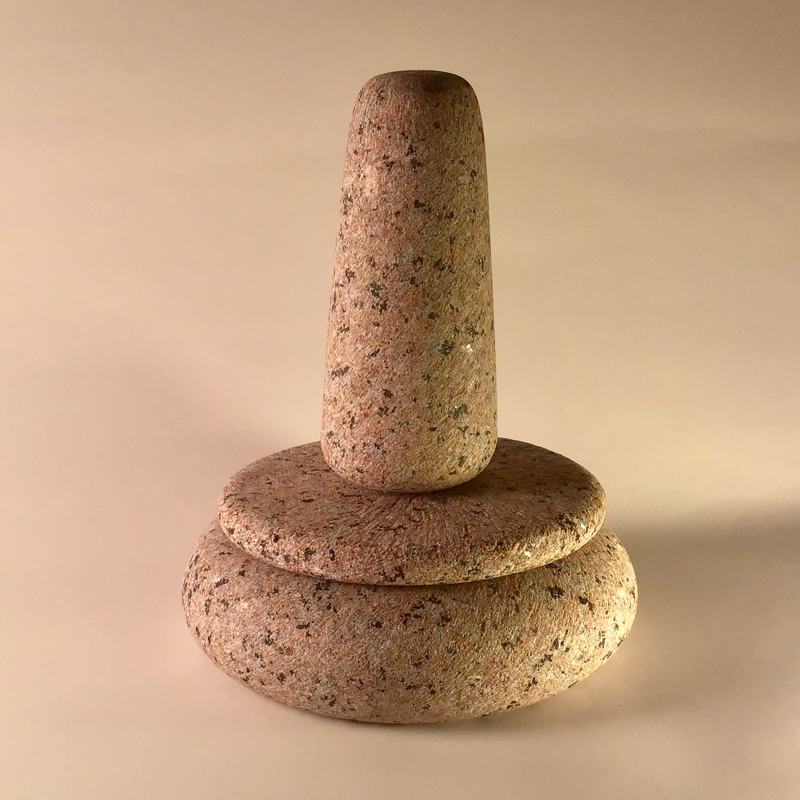 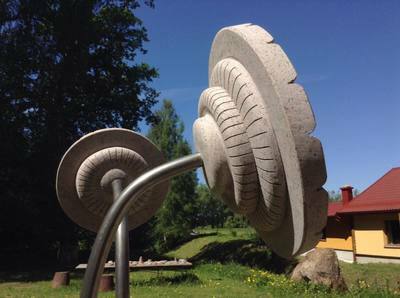 Stone for good helth and energy balance in all body. 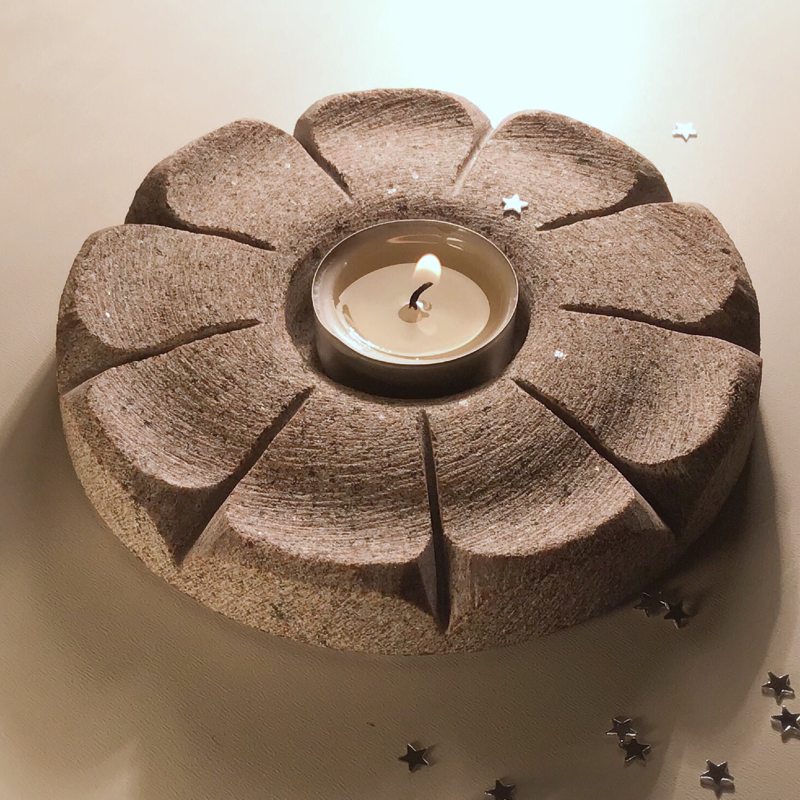 Winter flower will bring you light, beauty, warmth and love in your home. 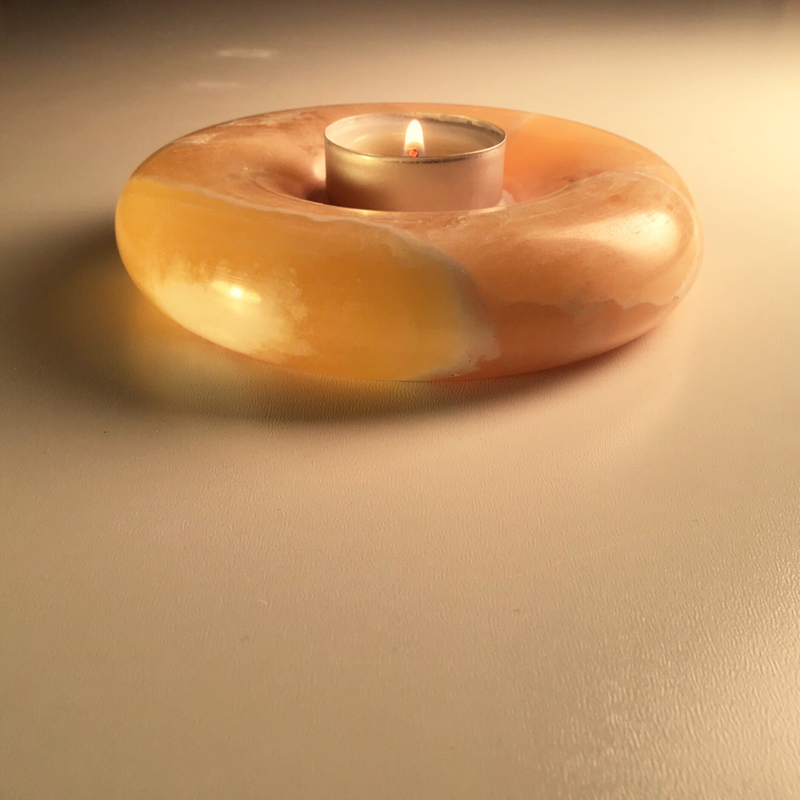 You can use it as a candle holder or just hang on the wall as a decor. 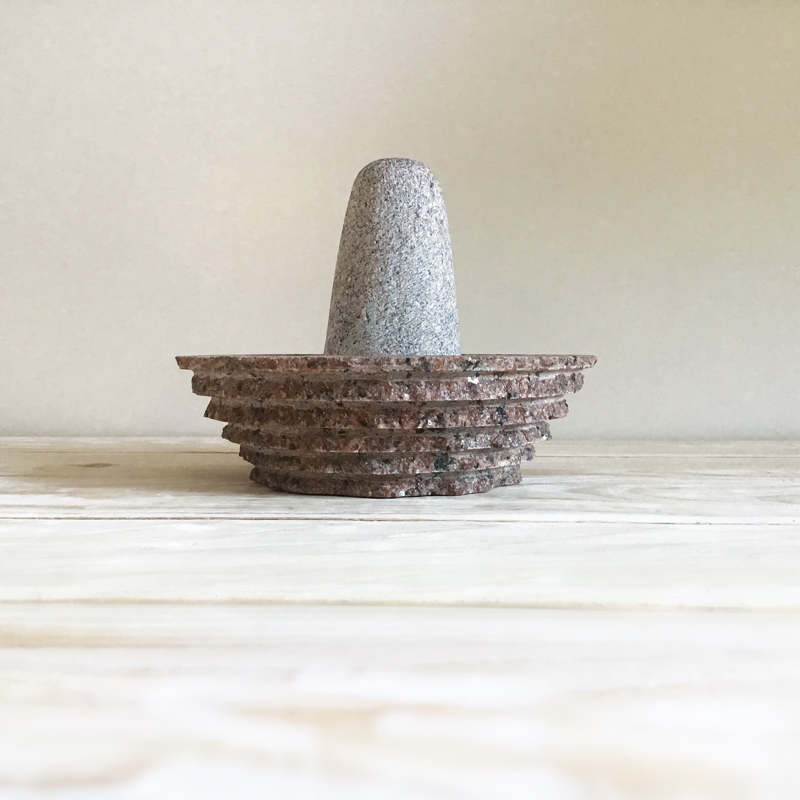 For good luck, helth and wellbeing in New Year. 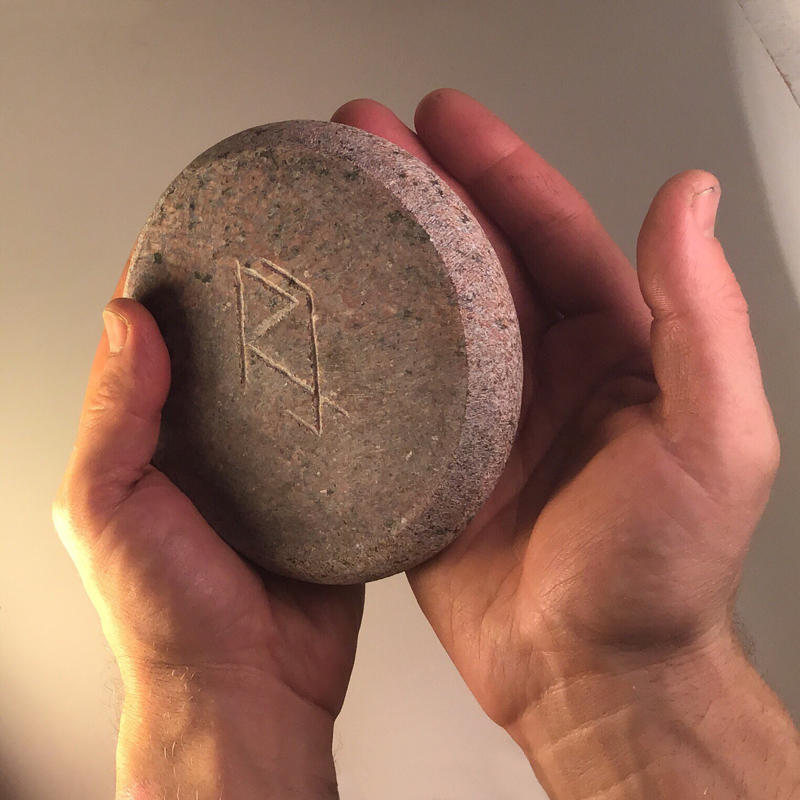 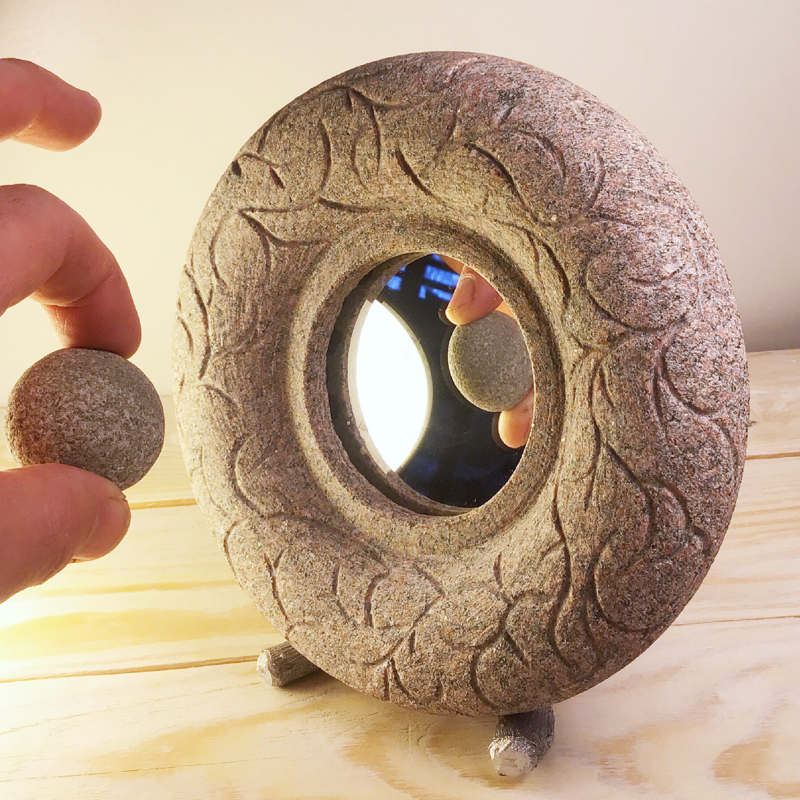 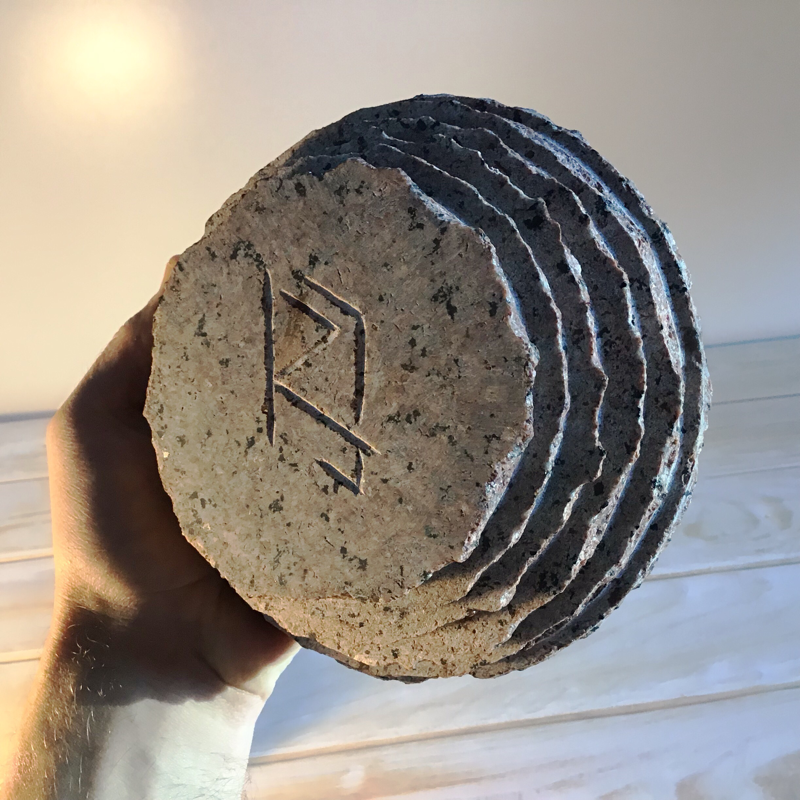 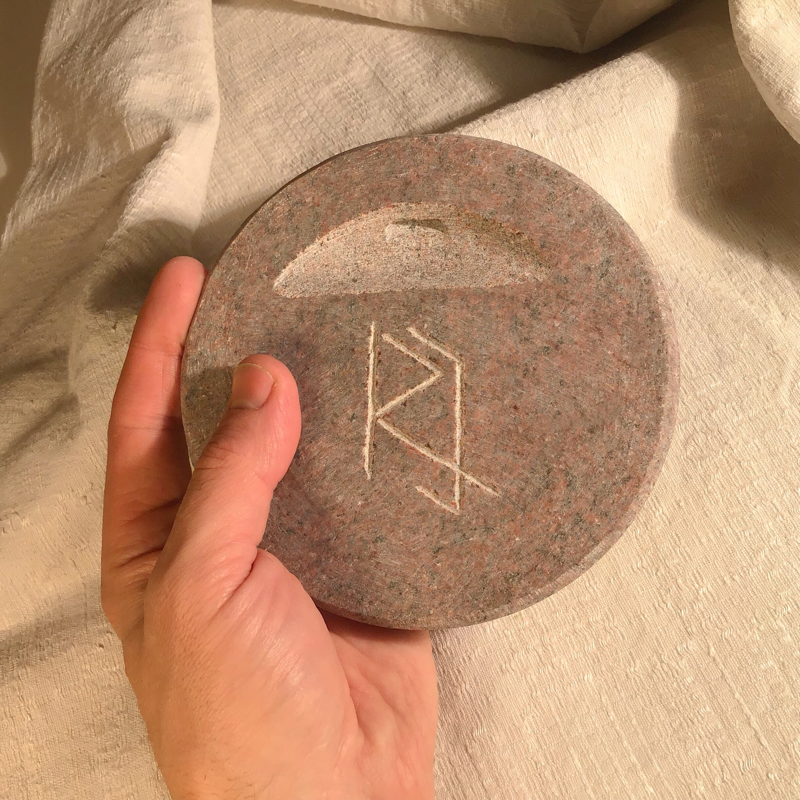 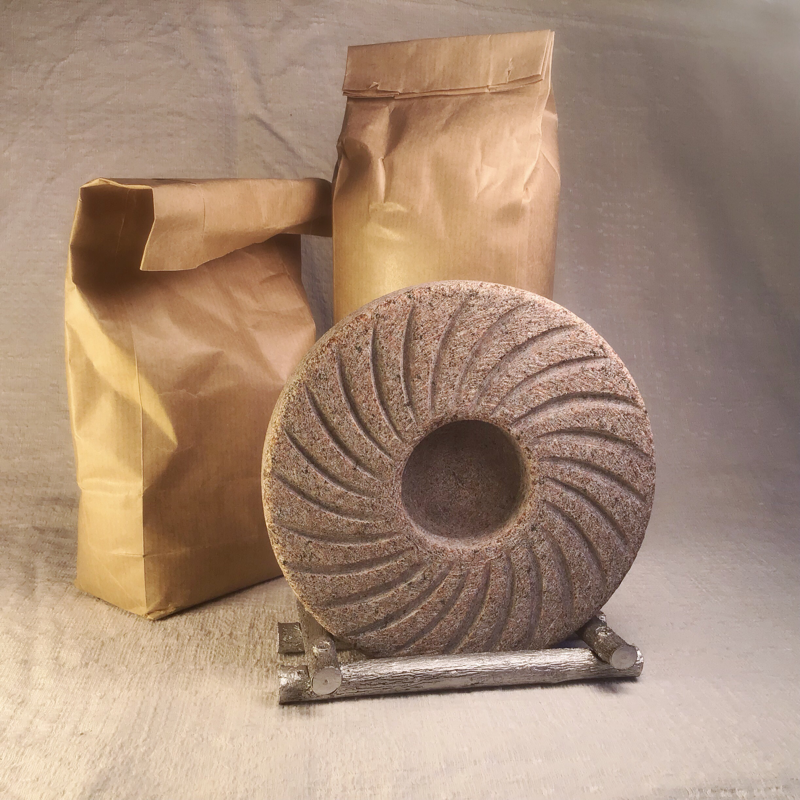 Real miniature, natural millstone for placed on a table or hangin on the wall or use as a candle holder aswell. 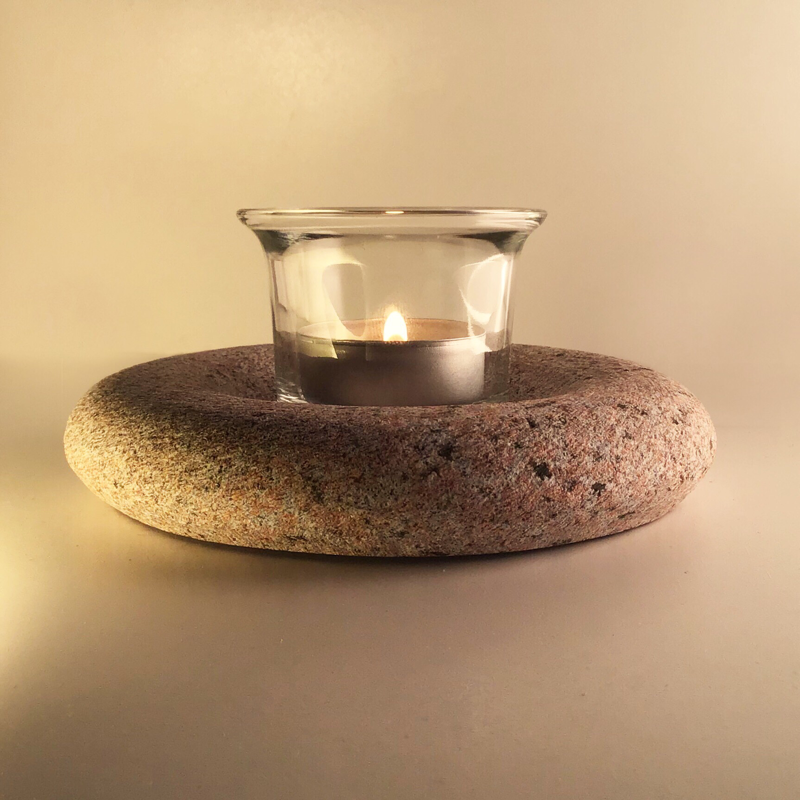 Simple shape, minimalistic candleholder with nice surface texture. 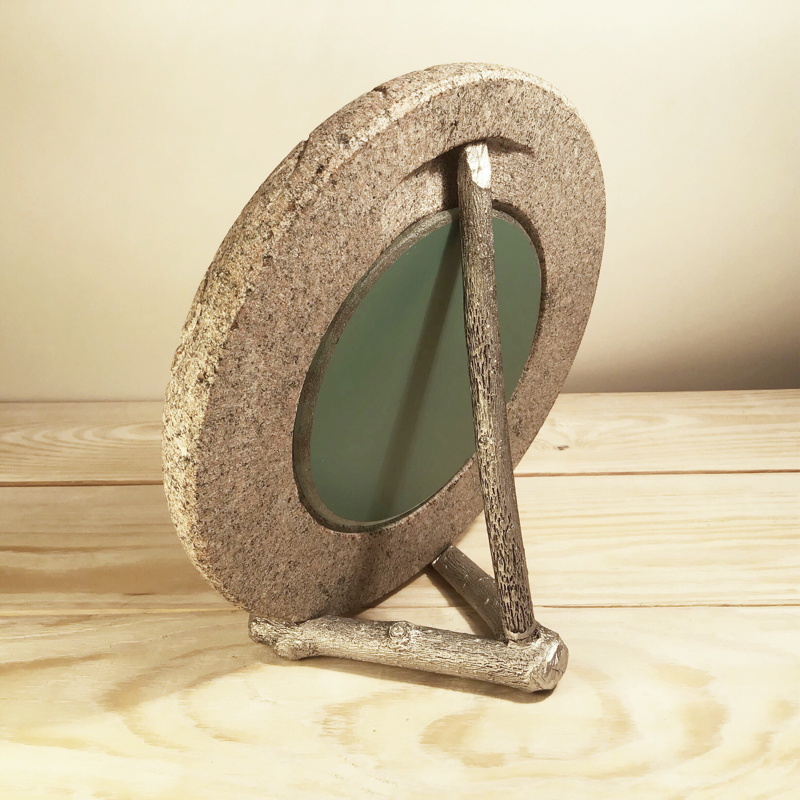 You can combine with glass holder use as a plate for jewelry, rings, earings, or small precious stones or boulders. 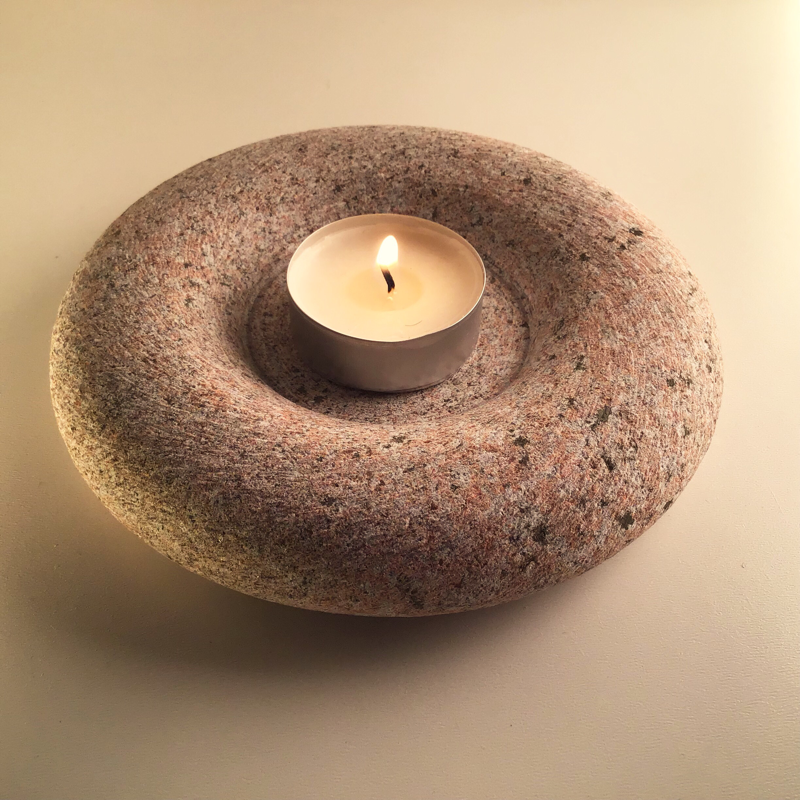 Romantic interior accessory. 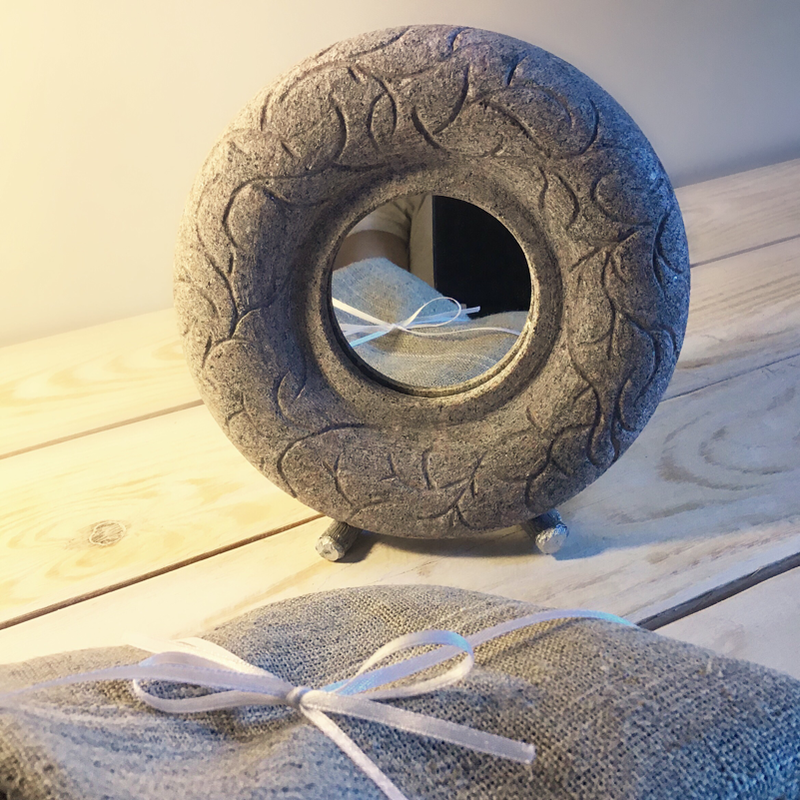 You can use for makeup or just for smile your self, hang on the wall or hold in your hends or put on the night table or book case. 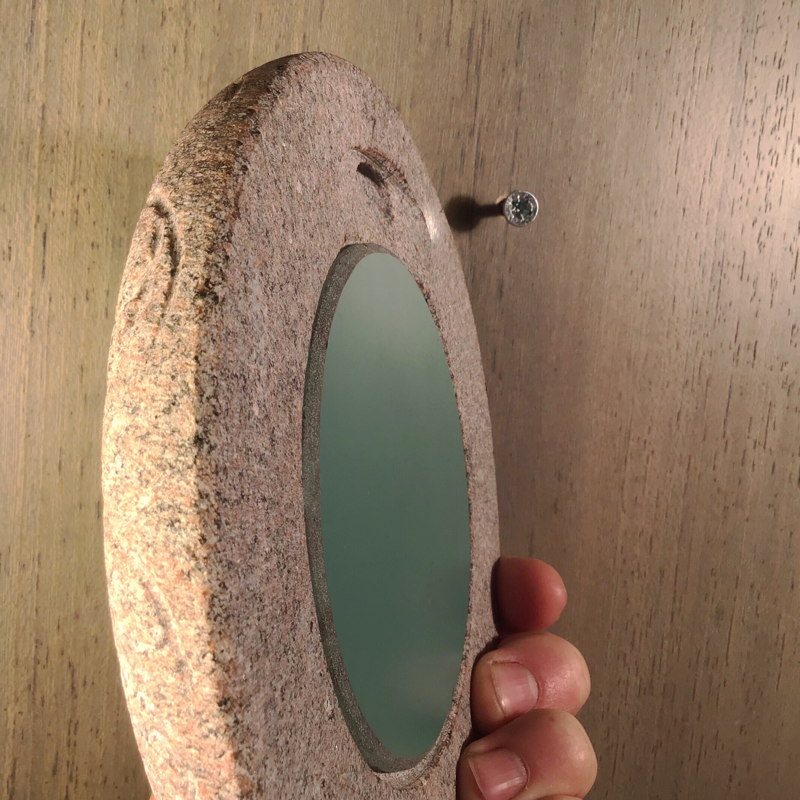 Included: Mirror, frame, wooden holder. 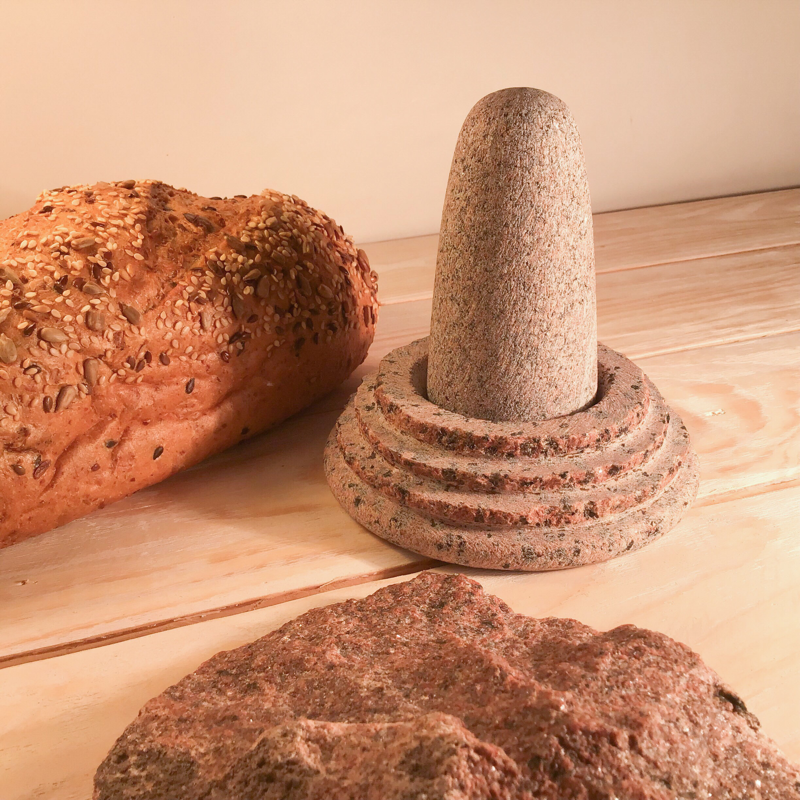 Special granite shaped for creative energy in cooking process, modern, sculptural look in rest of the time. 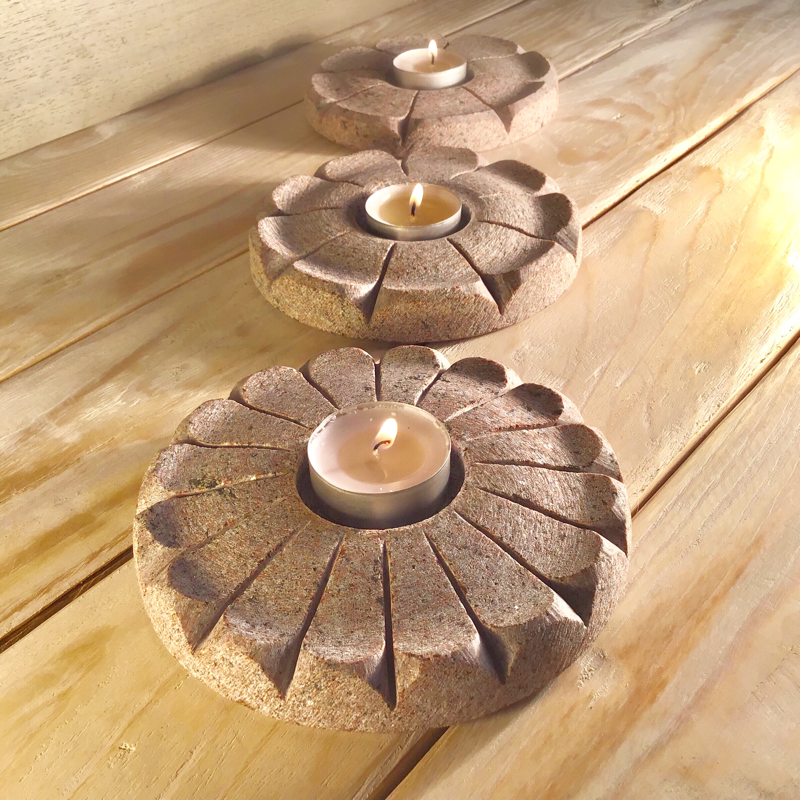 When seeds or herbs are ground, you can cover it by using special designed stone cover. 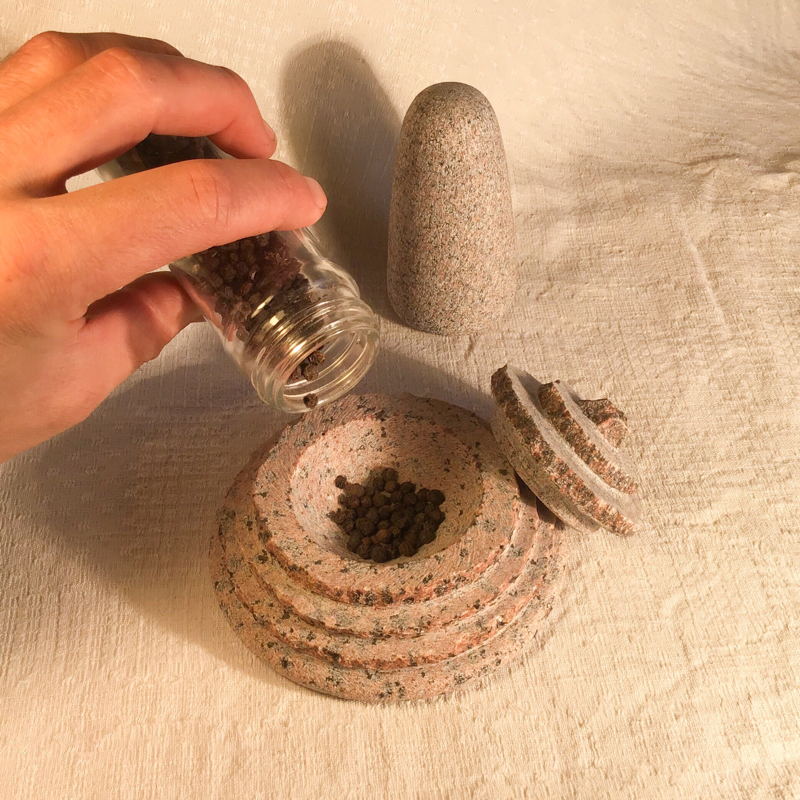 It is handy and beautiful tool for your kitchen and also creative gift for creative peaple. 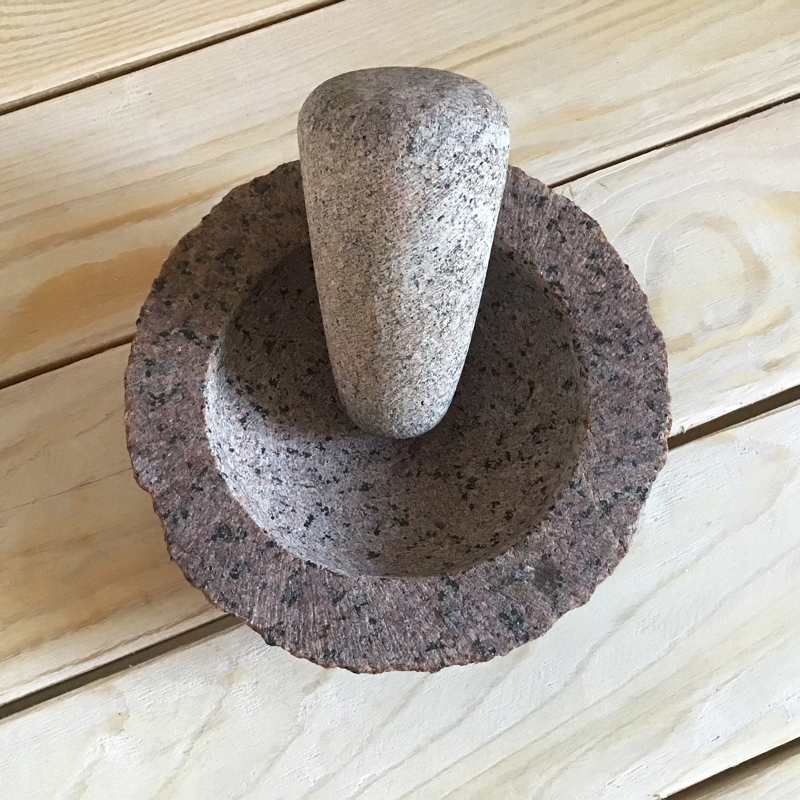 Original and unusual designed, old thing in contemporery shape, practical and very handy kitchen tool for herbs and spice shredding. 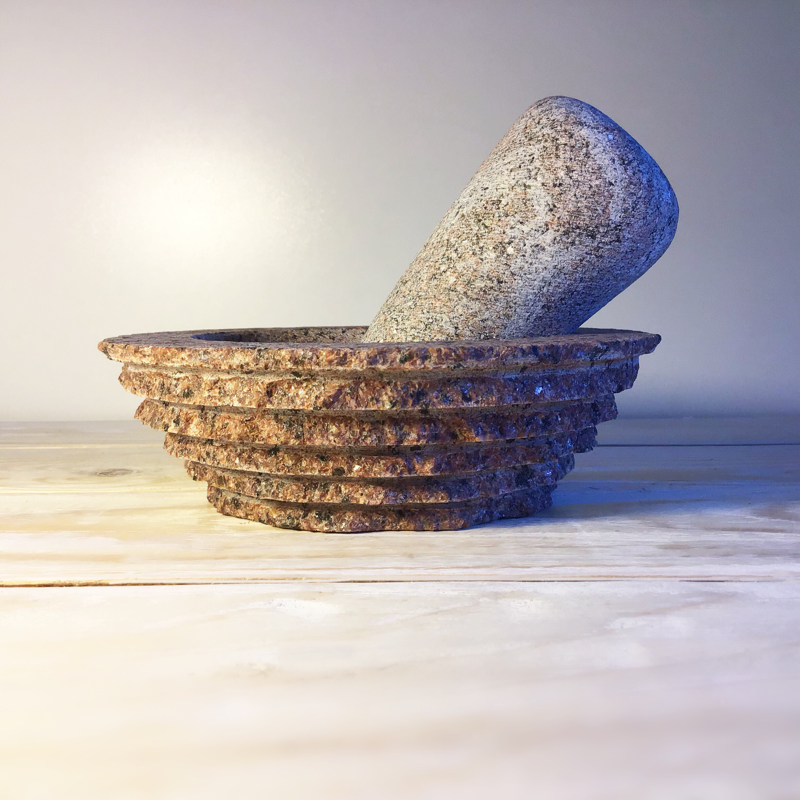 Rerely thin and light stone item for kitchen or living room. 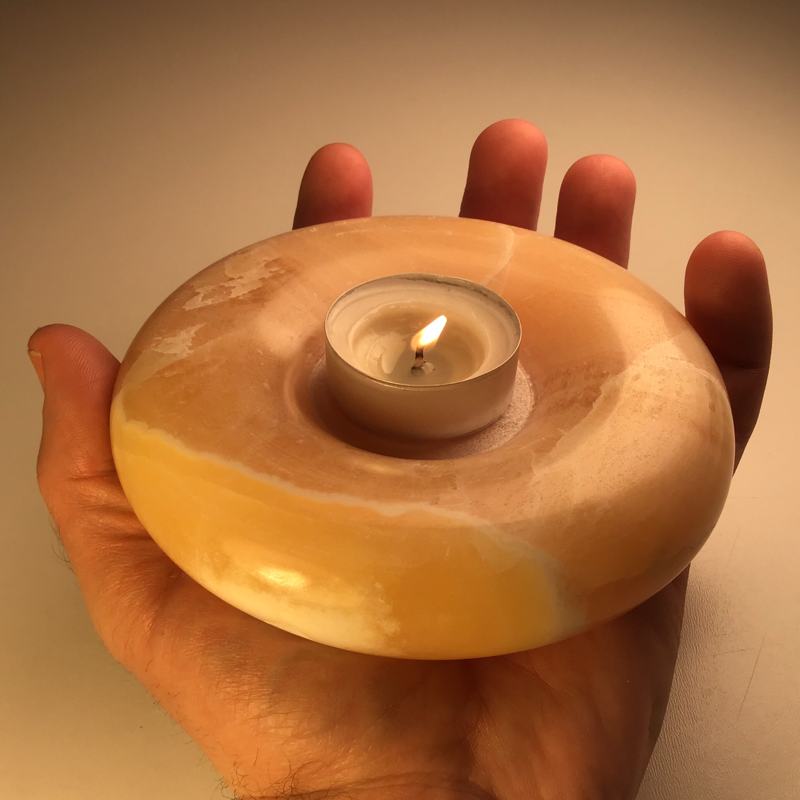 Ideal for Tea candles. 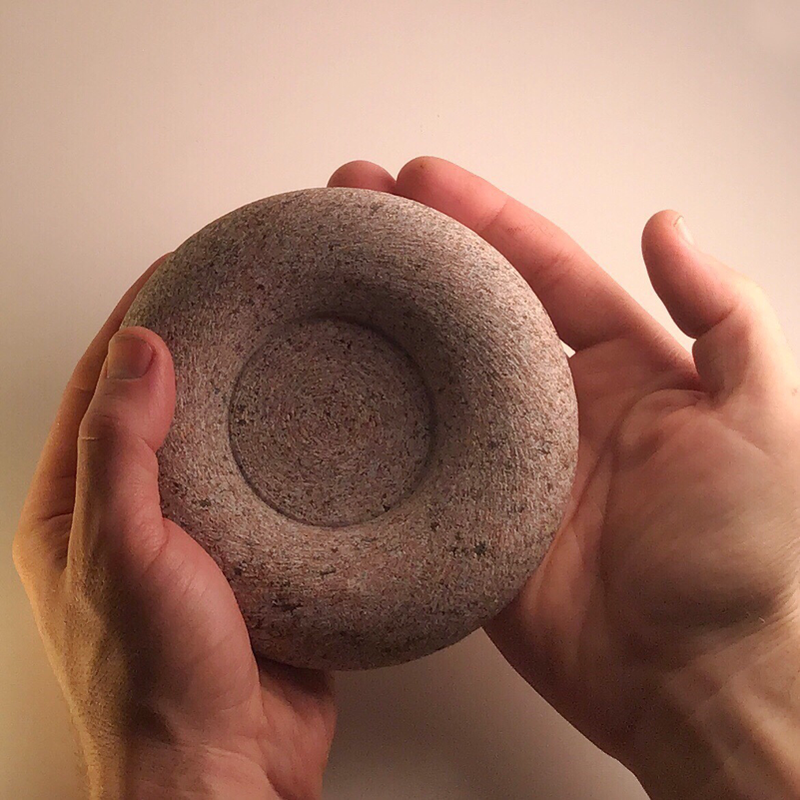 It’s a nice gift for your nex party!